You’ve been in operation long enough to experience the need to fill open positions quickly. First of all, congratulations! It takes a lot of hard work to get where you are. Now that business is booming, you are probably in a place where you need to scale your remote team, and you need to do it as soon as possible. While scaling quickly is doable, it also comes with challenges. This article will present 10 mistakes companies make when scaling their remote team. The purpose of this article is to help you avoid these mistakes and hire your remote dream team no matter how fast you have to grow. Of course, you won’t hire just anyone. However, when you’re in a hurry, you may be tempted to skip some important interviewing and vetting steps for seemingly qualified candidates. It’s vital to the success of your company to only hire remote employees who have a track record of excellence. When you are scaling quickly, remember the costs associated with hiring a new employee. According to a study by the Center for American Progress, it’s costly to replace employees. For employees making less than $30,000 a year, it costs 16% of their annual salary to hire a replacement. For those making $50,000 a year, it costs 19.7% of their annual salary, for those making $75,000, it costs 20.4%, and for skilled leadership roles with high paying salaries, it can cost more than 200% the employees annual salary to replace them. Even if you are scaling quickly, take the time to interview each remote candidate, test their skills, and make sure they are the perfect person for the job. If needs be, you can invest in help from a recruiting firm. That way, you’ll make sure you fill the position with the perfect person from the get go. Remote work isn’t for everyone. In fact, you could find a great fit in terms of skills, qualifications, and culture, and then realize that they don’t do well working remotely. Working remotely requires an individual who is great at managing time and prioritizing. Additionally, they must be able to work autonomously for long periods of time without anyone there to light the fire underneath them. Other important skills include being flexible and willing to work with your meeting schedule, regardless of where the remote worker is located in the world. When scaling quickly, don’t forget to have an in depth discussion about remote expectations. Have they worked remotely before? Are they a self-starter? What remote software are they experienced with using (Skype, Google Hangouts, Join.me, Asana, Time Doctor, CoSchedule, Slack, etc.). How flexible is their schedule? Are they willing to hop on a remote call during your office hours? Are they good at managing multiple tasks? Be sure to find out if the candidates you have your eye on are suitable for remote work as well as qualified for the job. The team at HelpScout works almost entirely remotely, and in a recent article from HelpScout, the CEO mentioned he spends 20-30% of his time actively recruiting candidates himself. He suggests several places to look for employees including AngelList and StackOverflow, and Anthology. He also spends time on WeWorkRemotely, Dribbble (designers) and GrowthHackers (marketers). Using sites like this may be a perfect fit for you. Just like HelpScout, you may be able to do all the outside recruiting yourself and hire candidates that are a perfect fit. However, it’s important to note that this approach may not work for all firms hiring remote workers. As mentioned before, the HelpScout CEO spends 20-30% of his time recruiting, and that works well for him. However, if you don’t have the same skills as this CEO or could use that time more efficiently on different tasks, don’t be afraid to hire a recruiting firm to do the hard lifting for you. Did you know that 86% of executives and workers cite lack of collaboration or ineffective communication for workplace failures, and 97% of the same group believe lack of alignment within a team impacts the outcome of a task or project? These statistics show that if you don’t have a plan for communication to align your teams from the get-go, it’s almost certain you will experience failure. If you do manage to succeed, you’ll experience bumps along the way. Hiring a remote team of workers is a great way to save on costs, gain access to a global talent pool, and scale quickly, but it can also be much more difficult to communicate than it is if you can pull your entire team into one room, layout goals, answer questions, and make a plan moving forward. Before working on recruiting efforts, put a plan for fine-tuning company communication in place. This can include making sure you have all the right tools and resources for remote team communication. Do you have a solid and standardized email service provider? Do you have a reliable communication software tool like Google or Slack? 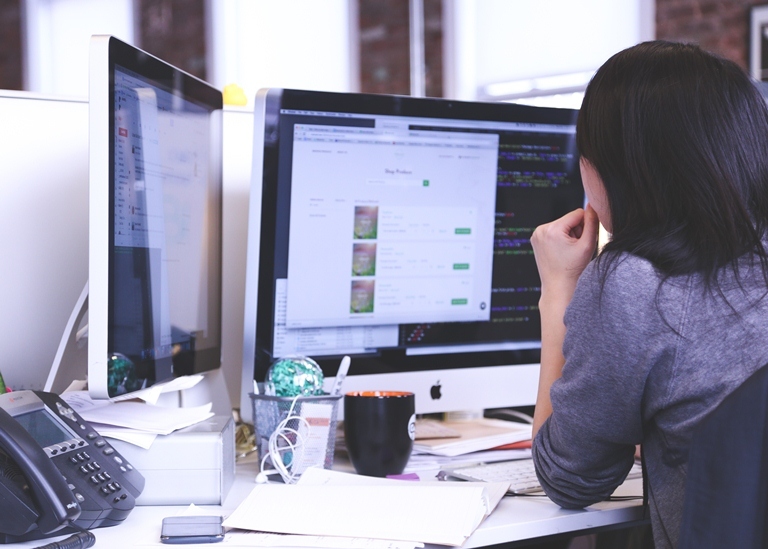 What video chat software will your remote employees use? How will you share files and access projects? Part of effective communication includes ironing out your work processes. Set clear expectations of when projects are due, who to report to, and who to come to with questions. If you set a plan for careful and clear communication, scaling quickly won’t be a problem. Let’s say you have recruiting down and know exactly how to hire the right remote workers for your team. That is awesome and half the battle, so good work. When you hire a new employee, there is a lot of paperwork, managing of contracts, company training, and general information you have to cover before someone can hit the ground running. There are two kinds of firms when it comes to onboarding. The first is a firm that just plays it by ear and then finds out they run into several kinks down the road. This could include not protecting your firm and/or remote employee by signing a contract. It could include getting a deliverable from your remote employee that misses the mark. Maybe it’s finding out you hired someone to work at your company who isn’t legally able to work at your company. This type of firm doesn’t have a solid onboarding process, and it can cost the firm a lot in time, money, and rehiring to get it right. The second kind of firm has a solid onboarding process. They gather all necessary documents upon hire. They promptly send out contracts for both parties to sign. Not to mention, they provide tools and resources for company training and any position training. Finally, they make sure the new employee understands chain of command. Here’s the deal. If you want to enjoy the benefits of a global talent pool (and you do), then it’s important to accommodate for people in different locations. This can include people in different cities, countries, and time zones. Hiring remote workers is a great way to find the best of the best. Similarly, you don’t have to worry about the problems with bringing all of your employees to your physical location. Scaling your firm by hiring remotely is a great way to find top-notch employees without the huge associated costs. However, if you want to be successful and make the process easy on your employees, you have to be willing to make work as easy for the employee in Australia as it is for the employee in San Francisco. How do you do this? Evaluate what each of your remote workers need, be willing to be flexible, and provide your employees with the tools they need to be successful. This should also extend to pay, benefits, and rewards. For example, no matter where your employees are located, you want to treat them with the same respect, dignity, and provide the benefits as every employee based at headquarters. Here is a common story. You’re a tech based firm located in Silicon Slopes and you’re growing faster than you ever expected. As such, you decide to hire remote employees to compensate for some of the growth. Since you are located in Lehi, Utah, you may think about paying employees in USD. However, the USD isn’t going to get your UK-based employees very far. Thus, you need a plan for paying your remote employees in their respective currencies. Thankfully, there are companies like Transferwise and OFX to the rescue. These companies will help you transfer money in different currencies and save on exchange rate costs. That way, both you and your remote employees stay happy (and paid). If you are paying per project, you can feel free to give an assignment and let your remote employees do as they will provided they deliver. But, what if you are paying hourly, salary, or a retainer? How do you make sure your employees are working when they say they are working? If you want to be successful when you scale your remote team, you need to have a way to make sure your employees are staying on task. This requires the help of a solid time tracking software. There are several time tracking programs on the market, but as a remote employer, you want one that gives you useful insights and access to employee work habits. Look for one that offers screen monitoring, integrations to other productivity tools, chat monitoring, monitoring of web and apps usage, invoicing capabilities and smart reporting tools in addition to time tracking. One of the coolest things about remote employment is it gives you access to employees that, for whatever reason, don’t have the lifestyle that accommodates a 9-5 office job. 9-5 office jobs often exclude the talented stay-at-home-mom/dad, people who can moonlight for your company and do a better job than someone who will watch cat videos from 9-5, and workers from other countries. When scaling your remote company, cast aside any preconceived notions about the lifestyle, individual, or city/country of residence, and focus on talent. This approach will ensure you find the best candidate for the job and that you are providing equal opportunity employment opportunities at your company. A remote employee/employer situation is awesome, but it requires a bit of forethought and planning. One of the best ways to plan is to streamline your productivity tools. For example, it doesn’t matter who you hire or where they work, but it does matter how they get your messages, receive assignments from you, communicate with team members, and send deliverables. There are several productivity tools on the market and many of them are created equal. In many cases, it doesn’t matter if you use, for example, Asana or CoSchedule, to send out assignments. What does matter is that you use either or for all of your employees. Decide on what communication tool, what file share company, what productivity tool, and what time tracking tool you will use, and then streamline it at your company. We’ve covered a lot of ground in this article, and some of the information may seem hard to implement right away. Thankfully, there is a great way to get organized, learn the ins and outs of managing a remote team, and avoiding these mistakes when scaling your remote team. 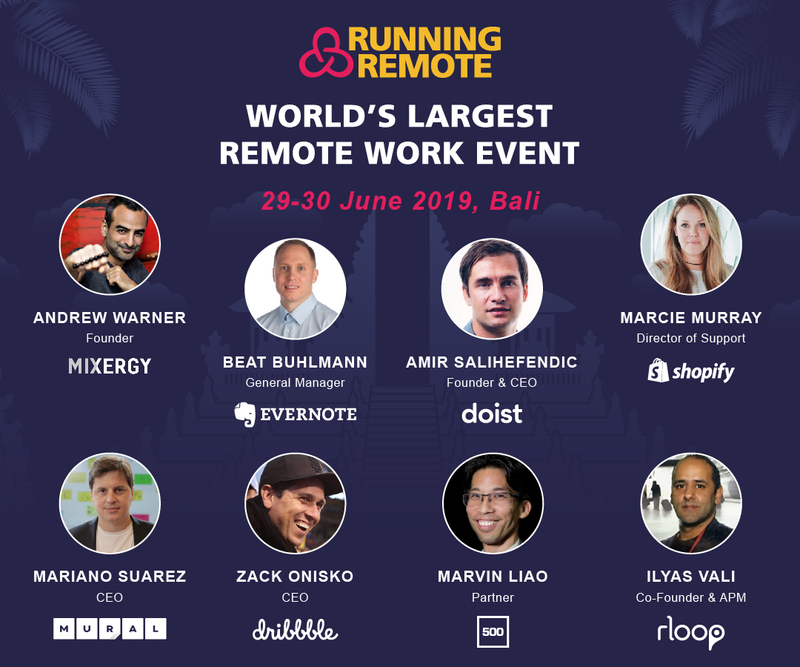 Attend the Running Remote Conference. Reserve your seat to the conference now to improve your remote team. As an added benefit, you’ll be pleased to know the conference is in Bali, Indonesia. Win-win.